Since its launch in 2015, Integrated Dermatology has been one of the first dermatology practices in the DC area to be trained to use KYBELLA®. This injection targets the submental fat region, more commonly known as the “double-chin”. The treatment is quick and easy in-office injection that leads to permanent fat loss to improve your chin profile. You’re not alone. 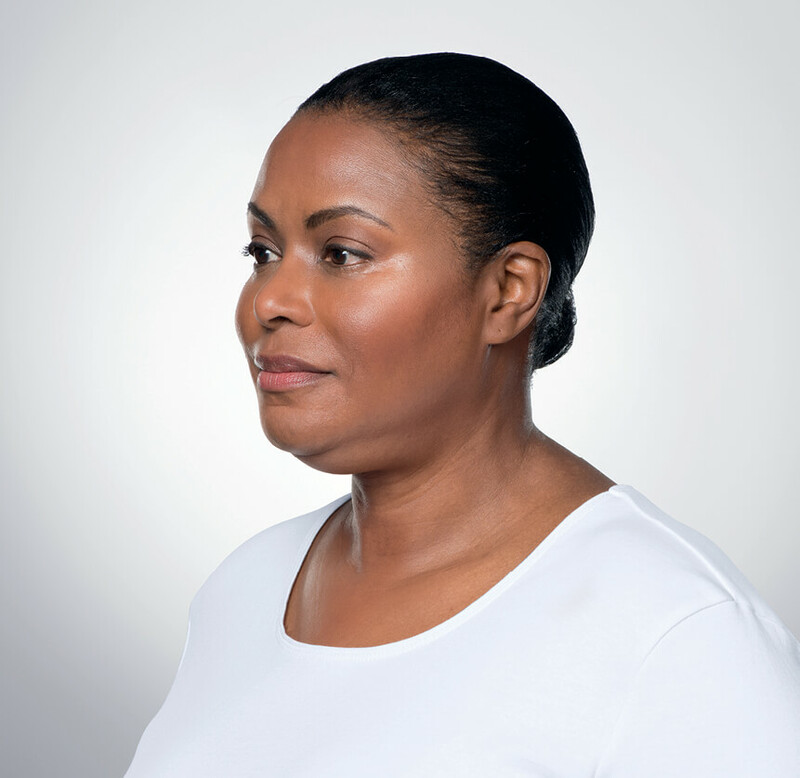 According to a 2015 survey conducted by the American Society for Dermatologic Surgery (ASDS), 67% of of people surveyed said they are bothered by the fat beneath their chin. In fact, the survey results showed that people are just as bothered by double chin as they are by lines and wrinkles around and under their eyes. 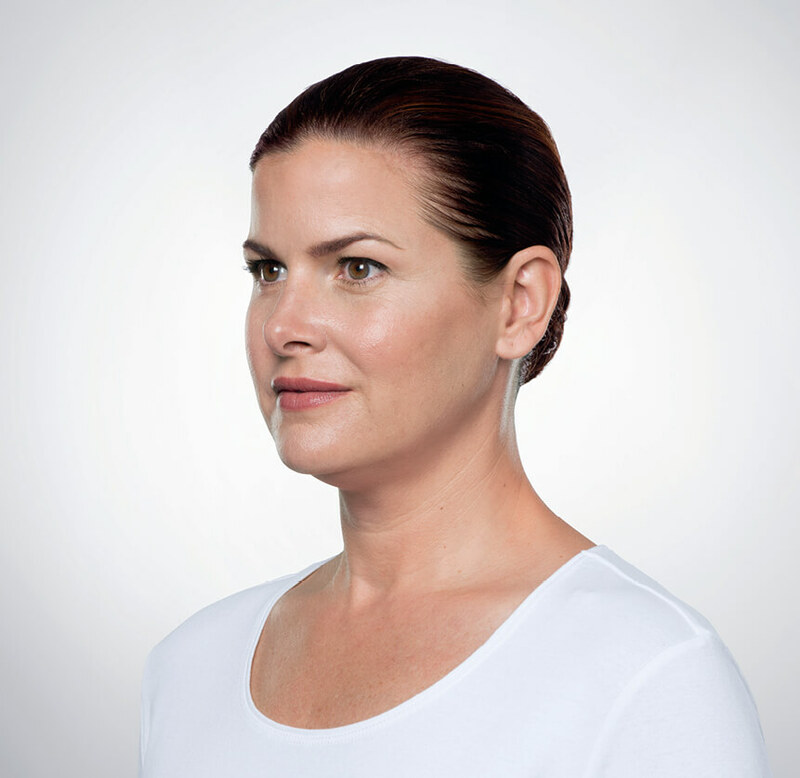 Why should I choose Integrated Dermatology for my KYBELLA® treatment? Here at Integrated Dermatology, only board certified physicians and physician assistants perform the KYBELLA® treatment. Our cost not only includes the price of the product, but more importantly, the skill and expertise of the provider who is administering your treatment. KYBELLA® Cosmetic is a technique-sensitive treatment — You need someone who is licensed and trained and has experience treating patients with KYBELLA®. It is more important to find an experienced healthcare provider who will take the time to understand your treatment goals and develop a treatment plan that is right for you. Integrated Dermatology was one of the first dermatology practices in DC to be trained with KYBELLA® after its launch in 2015. Integrated Dermatology is a premier practice that has been consistently awarded Black Diamond Status by Allergan – we are one of the only 1% of the practices in the nation to receive this honor. What does that mean? It means we are among the top 1% of all Allergen product portfolio providers which includes KYBELLA® in the US. We are grateful for our loyal patients who have helped us achieve this honor. KYBELLA® is a synthetic of deoxycholic acid, a naturally-occurring molecule in the body that aids in the breakdown and absorption of dietary fat. When injected into subcutaneous fat, KYBELLA® causes the destruction of fat cells. Once destroyed, those cells cannot store or accumulate fat. This results in a noticeable reduction in fullness under the chin, revealing an improved chin profile. 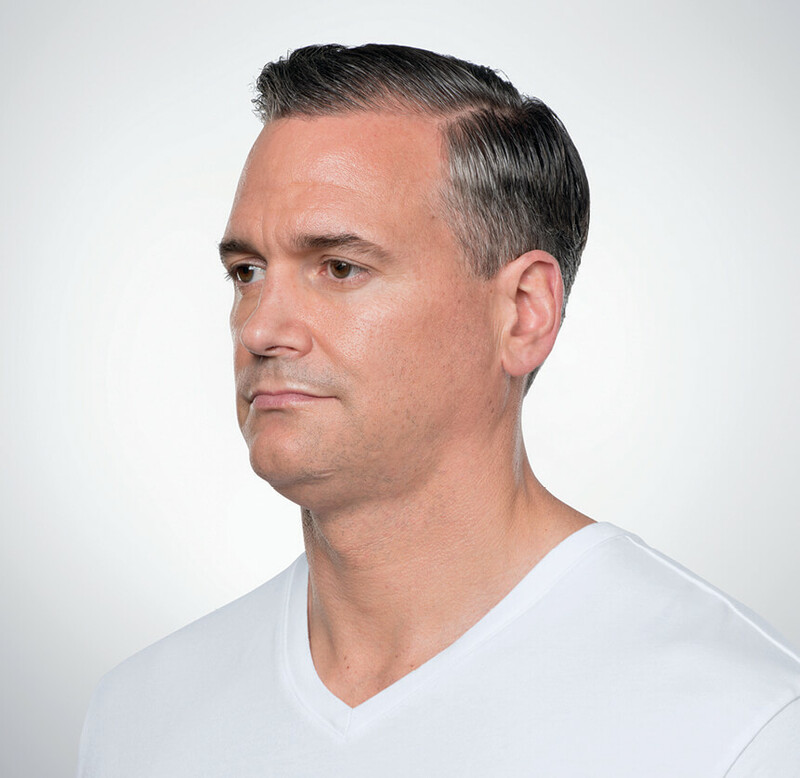 After your goal is achieved, retreatment with KYBELLA® is not expected. How do you know if Kybella is right for you? What should I expect before my treatment with KYBELLA®? Before starting treatment, your board certified dermatologist will examine the area under and around your chin to determine if KYBELLA® is right for you. Then, your doctor will tailor your treatment to the amount of fat under the chin and your aesthetic goals. Treatment at Integrated Dermatology can only be administered by a KYBELLA®-trained physician. At each treatment, you will receive multiple small injections under your chin, and the injection process takes about 15 to 20 minutes. The exact number of injections will depend on the amount of fat you have under your chin and your desired profile. Since everyone’s chin profile is different, the number of treatments varies from patient to patient. Your doctor will help determine how many treatment sessions you need based on the amount and distribution of your submental fat and your personal treatment goals. Each KYBELLA® treatment session is given at least 1 month apart, and you should not receive more than 6 treatments. In clinical studies, 59% of patients received 6 treatments. After KYBELLA® treatment, you will likely have some swelling, bruising, hardness or numbness under your chin. Be sure to inform your healthcare professional if you develop an uneven smile, facial muscle weakness, or difficulty swallowing. While anesthesia is not necessary, some patients prefer ice or topical numbing for about 10-15minute prior to the procedure. The discomfort has been described as a mild aching or burning sensation that lasts about 15-30minutes after the procedure. What are the results of KYBELLA®? 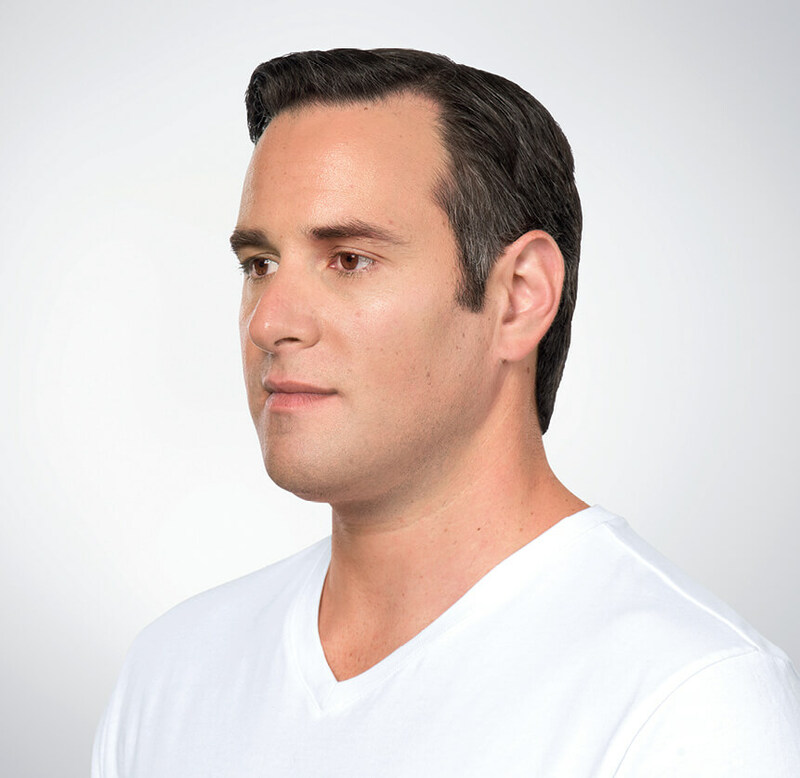 79% of KYBELLA® treated patients reported satisfaction with their appearance in association with their face and chin. Patients also reported improvement in the visual and emotional impact of submental fat when asked how happy, bothered, self-conscious, embarrassed, old, and overweight they felt following treatment in relation to the amount of their submental fat. KYBELLA® can cause other side effects, including nerve injury in the jaw that can temporarily cause an uneven smile or facial muscle weakness (experienced by 4 out of 100 people in clinical studies) and trouble swallowing (experienced by 2 out of 100 people in clinical studies). In clinical studies, nerve injury in the jaw resolved on its own in a median of 44 days (range of 1 to 298 days), and trouble swallowing resolved on its own in a median of 3 days (range of 1 to 81 days). 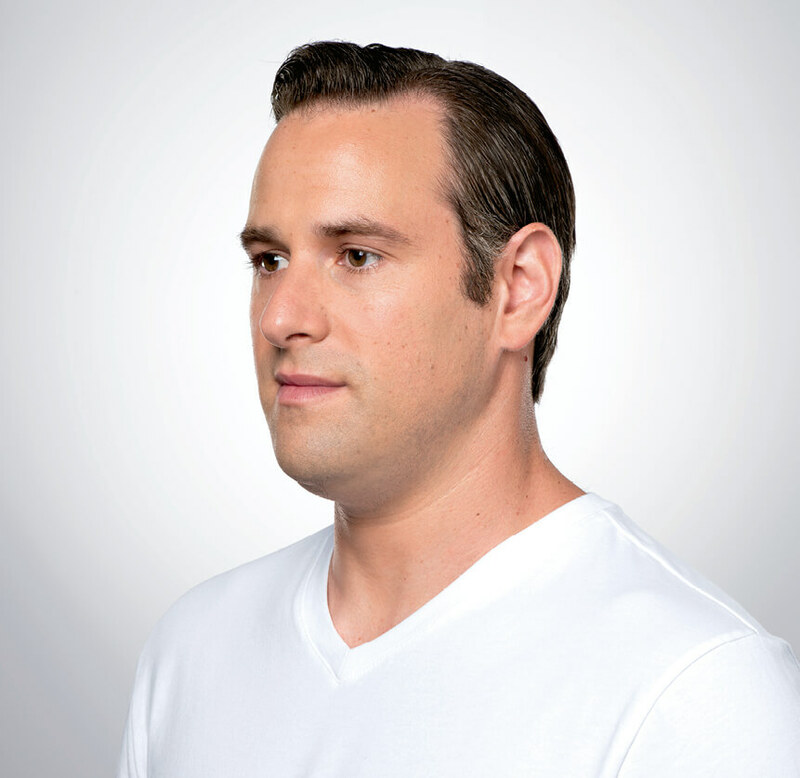 What should I tell my doctor before receiving KYBELLA® treatment? Can I receive KYBELLA® treatment if I am pregnant or nursing? It is not recommended to receive KYBELLA® treatment if you are pregnant or nursing. KYBELLA® injections commonly cause swelling, bruising, pain, numbness, redness, and areas of hardness in the treatment area. These local side effects can last an average of 1 week. Can I resume normal activities after KYBELLA® treatment? It is recommended to avoid strenuous activities 24 hours after the procedure. After 24 hours, you may resume all your activities without restriction. What is the cost of KYBELLA® treatment? It varies from patient to patient depending on the number of treatments required to achieve your desired aesthetic goal. Most patients will need anywhere from 4-6 treatments. We have discounts based on packages as well as flexible payment plans to meet your goals and needs. Our cost not only includes the price of the product, but more importantly, the skill and expertise of the physician who is administering your treatment. KYBELLA® is a treatment that should be someone who is licensed and trained and has experience treating patients with KYBELLA®. It is more important to find an experienced doctor who will take the time to understand your treatment goals and develop a treatment plan that is right for you. Treatments start at $2,200. How can I save on KYBELLA® treatments? Enroll in Brilliant Distinctions® Rewards Program to save on KYBELLA® treatments. You earn points on each KYBELLA® treatment that you can redeem for savings on future treatments. You can also earn and redeem points on other selected treatments and products (such as Juvederm®, Kybella®, Voluma®, Volbella®, Skin Medica®) that your healthcare provider may determine are right for you. When will I see results after my KYBELLA® treatments? You may begin to see results after 1-2 treatments but in may take up to 6 treatments to see results. 59% of patients in the studies received 6 treatments.